The competition pays tribute to the art of the Sonata/Sonatina's large-scale musical form. This competition is part of Masters of Sonata competition series. 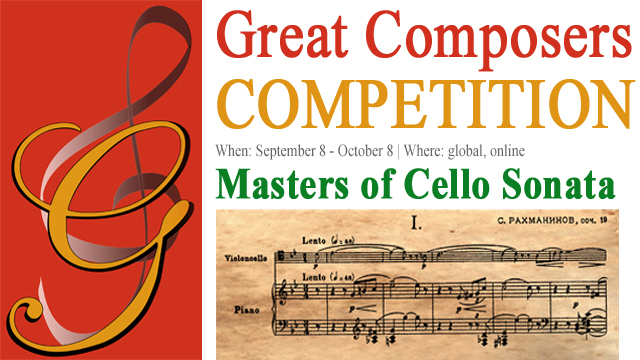 Masters of Cello Sonata Competition is open to all instrumentalists of all nationalities and countries up to 25 years. One movement, free choice, from the baroque, classical, romantic or contemporary periods.